DaVinci Resolve 14 is now ready to impress users with its unlimited new features that are useful for audio professionals, colourists, editors as well as for beginners. You will definitely love its ability to allow many editors to work together on same project with multi user collaboration tools. This new software update ensures 10 times better performance with added responsiveness. 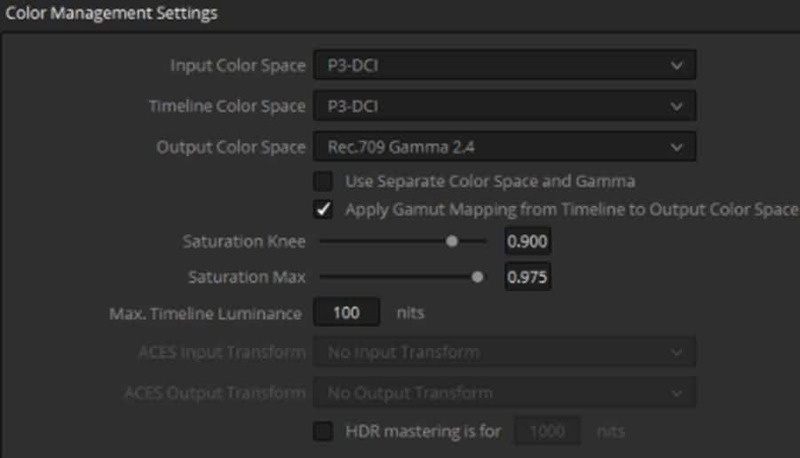 All these latest feature updates ensures advanced post production results with DaVinci Resolve 14 platform. You might be curious enough to go through the insights of all new features. Don’t worry! The article below will provide you all details about top 5 killer features of your favourite video editing software tool. Keep reading. Though DaVinci Resolve 14 has many fantastic new features, but it is difficult if you want to start editing. Thus, we recommend you getting started with a powerful enough video editor, such as Wondershare FilmoraPro first. You will be glad to know that DaVinci Resolve 14 will now be available with high performance type playback engine; it can accomplish tasks at 10 times faster speed. This playback update makes Resolve highly responsive so that editors can enjoy flawless editing while keeping thousands of clips in sequence on timeline. This platform now supports H.264 format so you can easily edit your 4K images. Resolve 14 is compatible with Apple’s Metal on Mac and it provides faster editing solution with improved memory management. The best part is that it will not over-bourdon your CPU now so you can think of doing miracles with your editing skills. This interactive playback system has now become much faster; you will find it working smoothly on almost all hardware units. It is time to add Fairlight Audio Accelerator on your personal computer and soon you will be able to enjoy incredible performance with negligible latency rates even when you will be processing thousands of tracks in your timeline. It ensures better controls for EQ processing, gate/expander, limited and compressor dynamics and provides six real time advanced VST plug-ins/channel. Resolve now has professional level audio tools for routing, mixing, bussing, sweetening, editing as well as for recording whereas the multi format mastering ability for 3D audio formats ensure great results for Dolby, 22.2 and 5.7 or 7.1 etc. You can now access multiple delivery formats along with complex compositions. The advanced Resolve platform is now capable enough to provide control over 6 band real time parametric EQ. Every track in the latest design is equipped with a channel strip over mixer where you can avail better controls for limited dynamics, compressor and expander. With Fairlight, you can now produce classic multi layered recordings with ease. In case if you want to replace any dialogue from footage then you can directly do it via ADR tools. The latest Fairlight monitoring system can handle about 24 channel buses at once and you can easily make selections for external inputs or internal buses. It also offers personalized fold down and fold up feature for handling multiple file formats. With this advancement, you can easily position your sound in space with 3D panner and further it provides easy access to 3D Spaceview and 3D B-chain processing. Now you will be able to access 20 advance FX filters to improve quality of images by removing dead pixels and dust. One feature rich face enhancement tool helps to track all facial features making colourists able to adjust skin tones to precise details with effective color adjustments. You can also make eyes brighter, retouch lip area, remove wrinkles, dark shadows without making additional efforts for individual tracking. Its latest black magic color control option is really outstanding with smooth operations and it ensures perfect controls of height and weight of the footage. It is now possible to enjoy editing with advanced plugins. Users can access various filter effects to get stunning results; the list includes lens flares, blurs, mosaic and film grain etc. On the other side, the creative generator plug-ins along with Open FX transitions from 3rd party offers endless possibilities for each design. If you want to improve the facial details in your videos then face refinement tool can offer you easy tracking with its auto management. It can well recognize the outlines and work upon structures to enhance beauty and skin smoothness. Users can easily adjust the lights around eyes while improving sharpness of deep details; it controls saturation and hue for lips, forehead, chins and cheeks while maintaining crisp appearance of all facial features. You can easily develop potential warping points on images during editing process. It makes processes much easier where just shift based controls can generate process all limiting points to develop finer results. This tool makes shape adjustments much easier and the best part is that these warp points stay effective during whole editing process so you need not to re-track them every time. Here is one more interesting thing to talk about DaVinci Resolve feature update; it is now equipped with ‘multi-user’ collaboration tool and they allow real time support to audio post, color correction and editing- all at a time. You can easily work on specific parts of your project by using the new bin, timeline and clip locking abilities. When you are working on a group project then you can enable its group chat abilities to communicate all details with ease. Users find its auto save option most useful because it saved data from crashes. You can get clear idea about all changes by making side by side comparison for all updates and when it is essential to trim unwanted details then you can access slide trim commands to complete changes within seconds. Whenever you update any changes, they can be immediately combined with the main version of editing project so this interface makes every editing task much easier. There are numbers if marker overlays, video-audio editing tools and professionals can even enjoy subframe audio editing along with color tracking mechanism, it simply serves like most effective editing tool. You can access Resolve 14 in form of a free as well as paid version. The free version is available as beta download that works perfectly over Linux, Windows and Mac platforms. It can be easily integrated with all existing workflows. On the other side the feature rich studio version (Paid) comes with impressing 4K editing capabilities and you can access it easily with payment of £239. This paid version offers easy access to all new feature updates including de-noise tools, film grain, mist effects, stereoscopic 3D, 4K/120fps project support and resolve FX tools. The best part is that this paid version can work without any active internet connection so you can enjoy editing anywhere at any time. There is no doubt to say that this latest update of DaVinci Resolve 14 offers amazing collection of features with added workflow enhancements. It can now support all professional level editing tasks including color corrections, audio controls and interactive effect adjustments. If you are a basic user then prefer to go for the beta version to get started with resolve 14 and if you are a professional user then start creating miracles with Resolve Studio. DaVinci Resolve is a good professional video editing software for those who has a good knowledge of video editing, but it has a high requirement on the computer as well. For those who are looking for a similar video editing software which has powerful editing features, such as color grading, audio editing, and of course smooth video editing features. Here we recommend our newly released Wondershare FilmoraPro professional video editor , which gives you more controls as well as brilliant video editing feature and color grading ability. Just download it now and follow the video tutorial below to learn how to edit videos in FilmoraPro.